A brand new visitor experience at an ancient heritage attraction in Ireland’s south-east is set to open to the public in 2019. 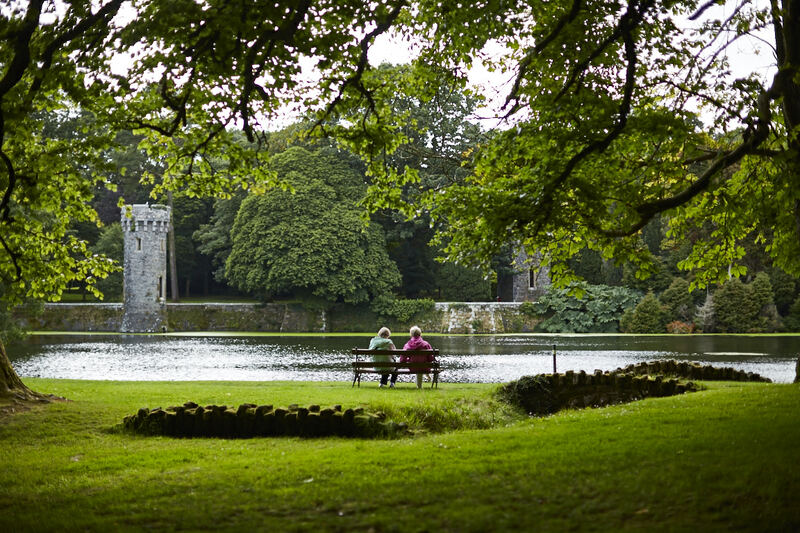 Johnstown Castle, Wexford’s greatest surviving country estate, is currently home to the Irish Agricultural Museum in the estate’s stable yard – providing a nostalgic journey through Irish farming and social history. 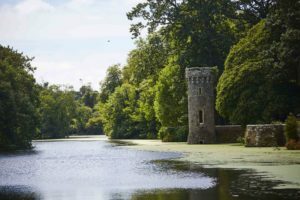 To date, however, the Gothic Revival castle itself has never been open to the public; this is all set to change as the new Johnstown Castle Estate, Museum & Gardens experience is to open to the public in May 2019. ‘3 in 1’ attraction in 2019,” said Tom Doherty, Chief Operations Officer of Teagasc. The works taking place inside Johnstown Castle and the construction of the new visitor centre are wide-ranging and continue apace; despite this, the works do not impact the facilities currently open to the public. The Irish Agricultural Museum and Tearoom along with the Johnstown Castle Gardens, Shop and Tea Room will be open until 4 pm daily (November - February). 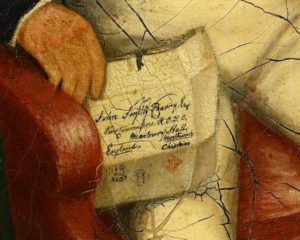 The homecoming of the long-lost portrait of John ‘The Magnificent’ Smith Barry was celebrated in August. 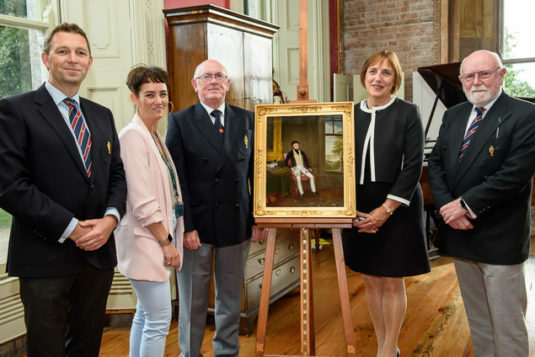 The painting was jointly acquired by Fota House in collaboration with the Royal Cork Yacht Club (RCYC) when it was auctioned at Chiswick’s auction house in London earlier this year. In 2017, Justin Laffan expertly restored five works from the Fota collection and restored three more paintings live at Fota House during Heritage Week thanks to the Heritage Council’s MSPI Caring for Collections Grant scheme 2018. Go to the Fota website to learn more www.fotahouse.com. We were honoured to welcome President and Sabina Higgins to the National Famine Museum at Strokestown Park in early July. The President officially opened the newly refurbished National Famine Museum in 2013 (which was opened in 1994 by President Mary Robinson) and was delighted to return to enjoy the fascinating Strokestown Park Famine Archive. 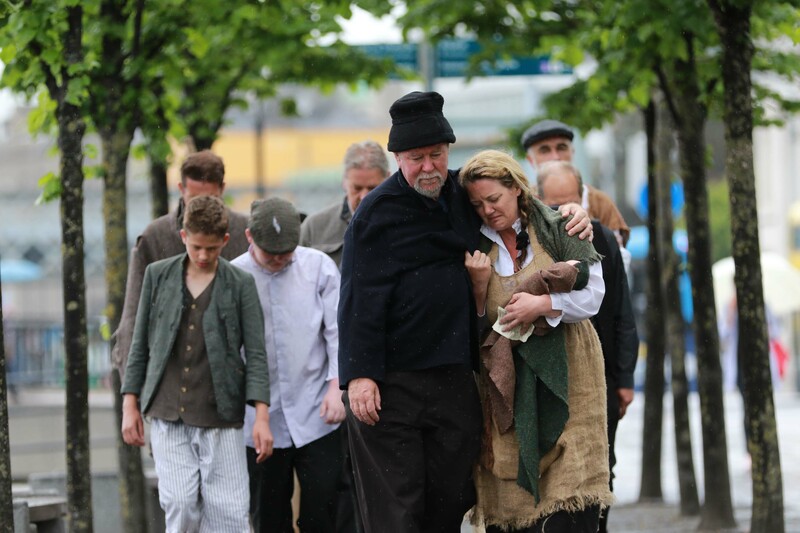 Containing over 55,000 documents in relation to the Great Irish Famine of the 1840s, it is a complete record of economic, social and estate history over a 300-year period which was discovered by chance by Jim Callery in 1979 and led to the establishment of the National Famine Museum. President and Sabina Higgins then took a detailed tour of the National Famine Museum with John O'Driscoll, Strokestown Park's General Manager and Jim Callery as well as members of the Irish Heritage Trust Board. 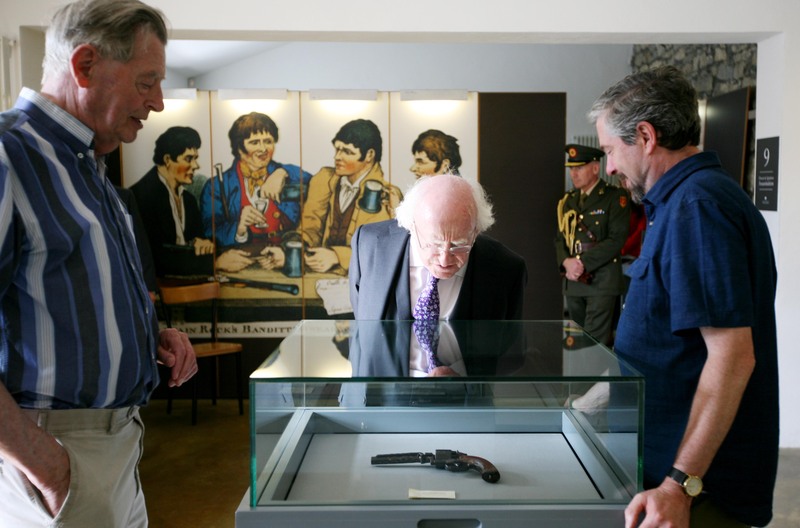 The Museum tells the story of the Famine and highlights the parallels between a tragic chapter of Irish History and contemporary global hunger, and President Higgins has spoken to this theme on many occasions. The Trust and its partners at No. 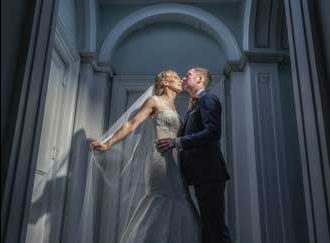 11 - Poetry Ireland - have undertaken to restore, revive and enhance this beautiful 250-year old building with a fascinating history which has significant historical and architectural importance. No. 11 will become a public amenity for everyone to enjoy and a significant cultural hub that will maintain and enhance the public function of the building including a dedicated centre for poetry ‘The Poetry Ireland Centre’, and a permanent home for Seamus Heaney’s Working Poetry Library. We are delighted that Poetry Ireland and the Irish Heritage Trust have received planning permission for our ambitious plans to restore No. 11 Parnell Square, a historic Georgian townhouse in Dublin's north inner city and open it up for public access. Learn more here where you can watch journalist Olivia O'Leary, commentator Mícheál Ó Muircheartaigh, comedian Dara Ó Briain, actor Aidan Gillen, poets Paula Meehan and Paul Muldoon, Marie Heaney and the people behind the restoration of No. 11 Parnell Square tell us why Ireland needs a home for poetry. 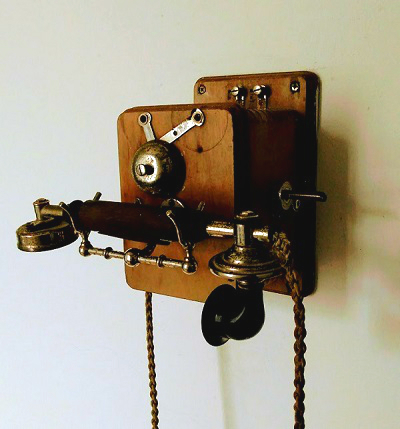 Learn more here about the fascinating history behind Strokestown Park's Magneto battery powered wall-mounted telephone. Visitors to Strokestown will find it located in the corridor connecting the formal dining room with the galleried kitchen. 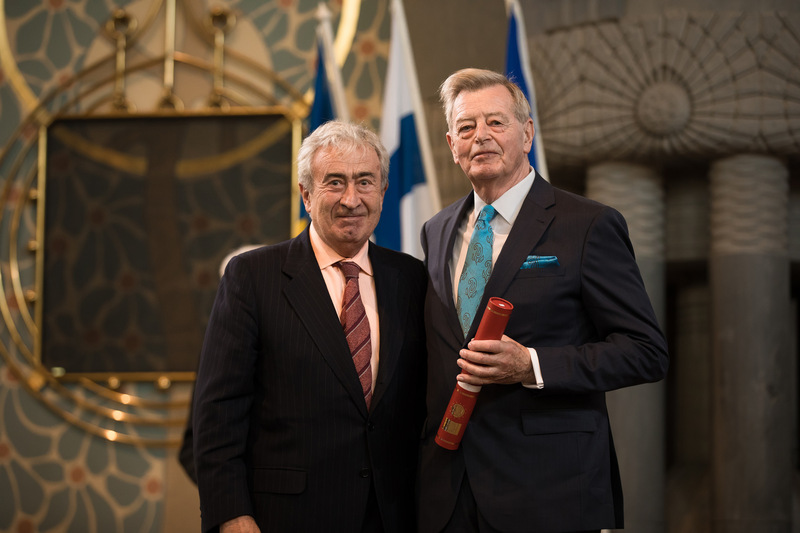 Jim Callery has been awarded Europe’s top honour in the heritage field - a prestigious European Union Prize for Cultural Heritage/Europa Nostra Award for the “restoration and establishment of the world renowned Irish National Famine Museum & Archive which has been the largest act of private philanthropy for cultural heritage in the history of modern Ireland”. Mr Callery's award is in the Category “Dedicated Service”. Pictured above is Mr. Callery receiving his Award from the Chairman of the Dedicated Service Jury, Álvaro Fernández-Villaverde y Silva. "I congratulate all the winners. Their achievements demonstrate once again how engaged many Europeans are in protecting and safeguarding their cultural heritage. Their projects highlight the significant role of cultural heritage in our lives and our society. Especially today, with Europe facing many big societal challenges, culture is vital in helping us to raise awareness of our common history and values and to foster tolerance, mutual understanding and social inclusion. The European Year of Cultural Heritage in 2018 will be an ideal opportunity to focus on what binds us together as Europeans - our common history, culture and heritage. The European Commission will continue to support this prize and other heritage projects through our Creative Europe programme,” said Tibor Navracsics, European Commissioner for Education, Culture, Youth and Sport. Click here to see video about Mr. Callery's work at Strokestown. "Engaging with communities and unlocking the unique story of the properties within its care lies at the heart of the Irish Heritage Trust’s ten-year history". 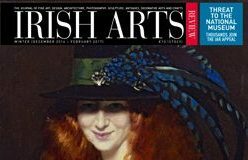 We are delighted that the Irish Heritage Trust is featured in a four-page article in the Winter 2016/17 issue of the Irish Arts Review. The article, written by Sandra Andrea O'Connell explores the highlights of the Trust's first decade.